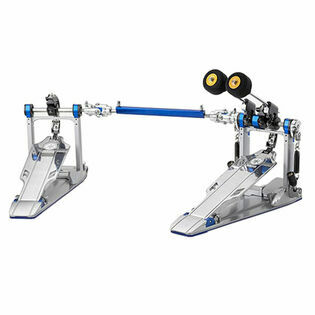 The Yamaha DFP9 Chain Drive Double Bass Drum Pedal is responsive and fluid offering a wide range of adjustment options to meet the players needs. With years of experience developing hardware for musicians not only does this pedal perform it's built for daily use and reliability. Double Chain Drive - The double chain in combination with the cam adjustments contribute to the customization and fluid performance of the pedal. A Belt is included with the pedal allowing the player to easily change to a belt drive pedal.